Add yogurt, black salt, ground cumin, chillies and ginger to a mixing bowl and whisk well. Add cucumber, cilantro/coriander and mix well. 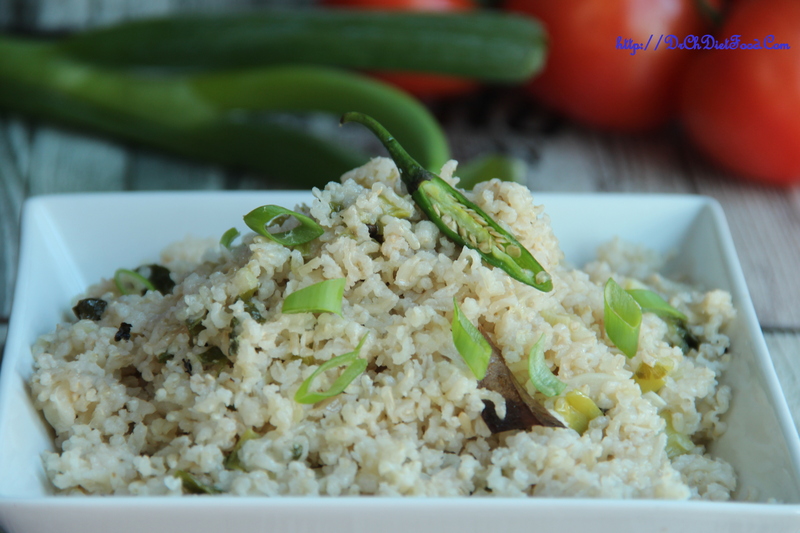 I included the seeds of cucumber but you can discard the seeds if desired. 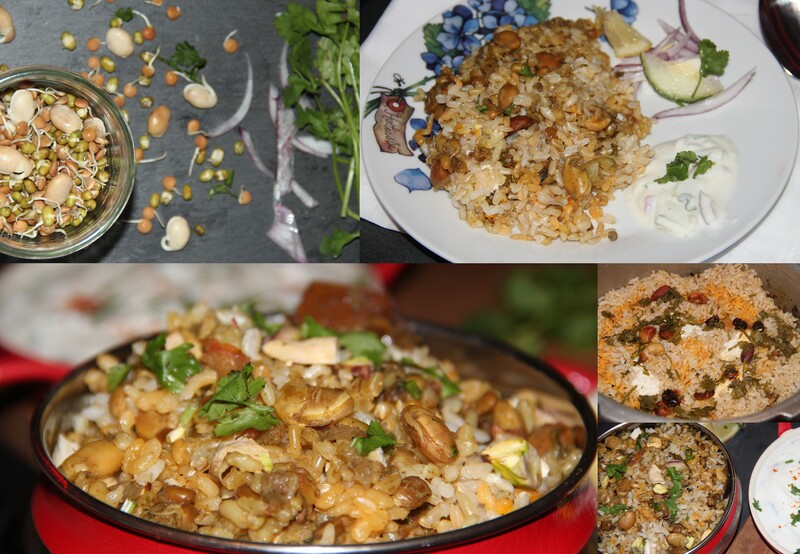 Posted on July 18, 2015, in Dips, Indian and tagged ginger recipes, Greek yogurt dips, raita varities, Rice accompaniments, yogurt based dips. Bookmark the permalink. 16 Comments. 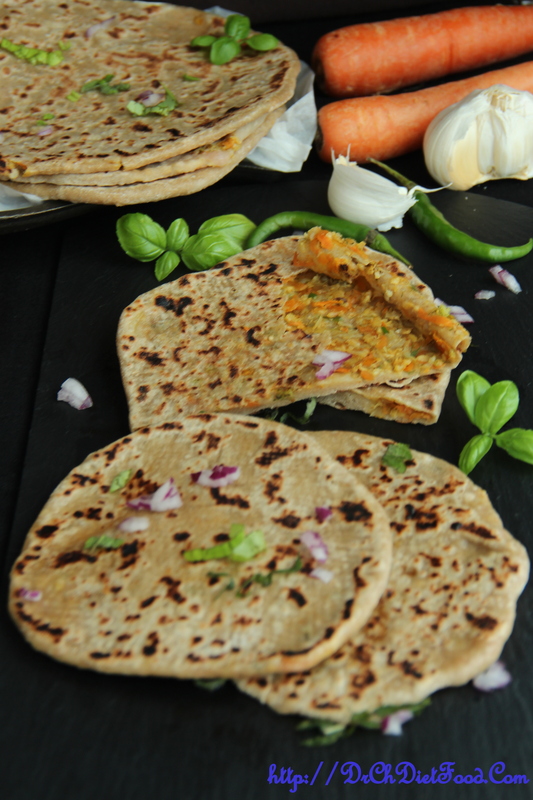 Mmmmm… love raita and have never had with ginger I think thats a fantastic addition. 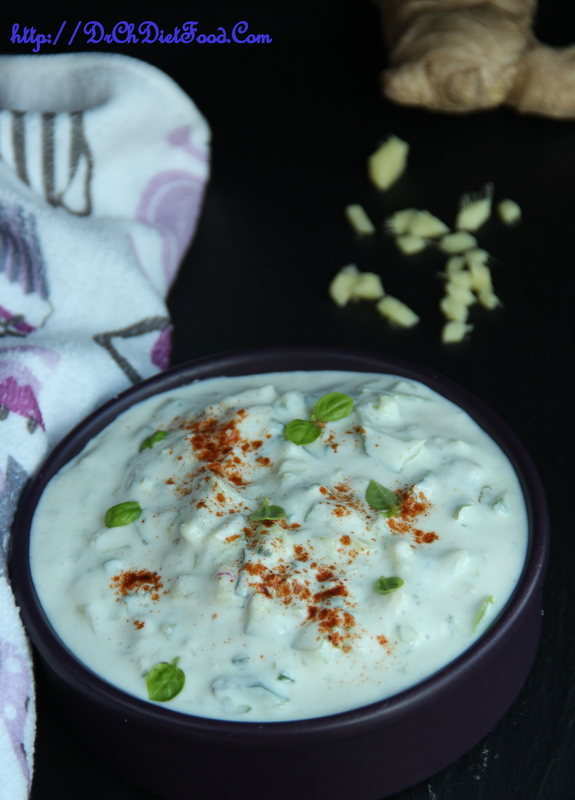 I love cucumber raita, thanks for sharing this recipe with us! 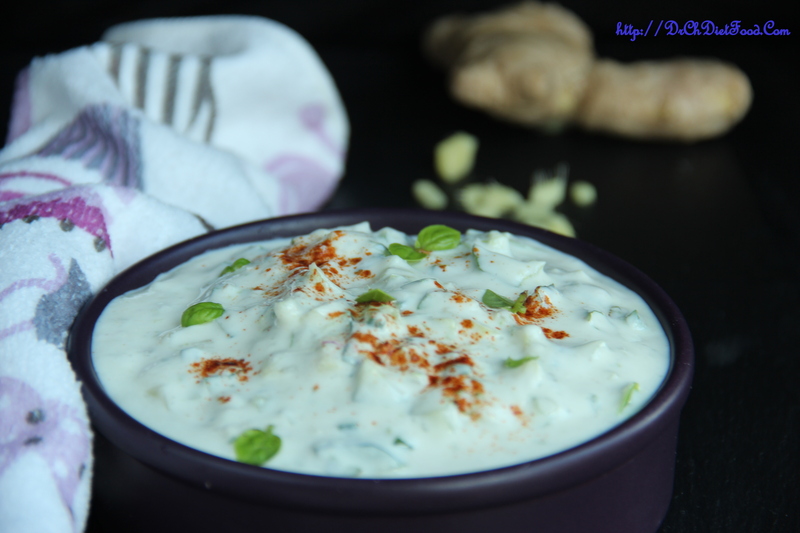 Very refreshing and cooling raita..love the addition of ginger! !